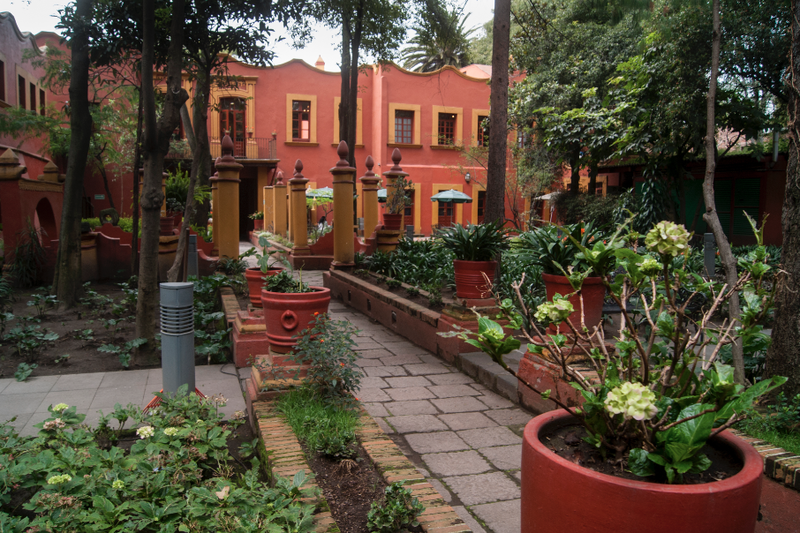 Coyoacán is a natural for visitors from all over the world. Here are the five essential spots to hit in Mexico City's "pueblito" within the city. 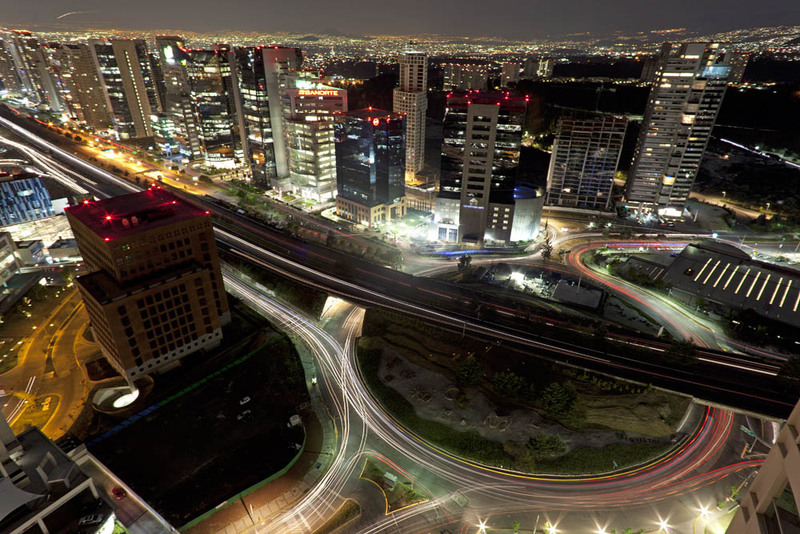 Founded in the 7th century CE, Coyoacán is one of the oldest and richest delegations in the metropolis. 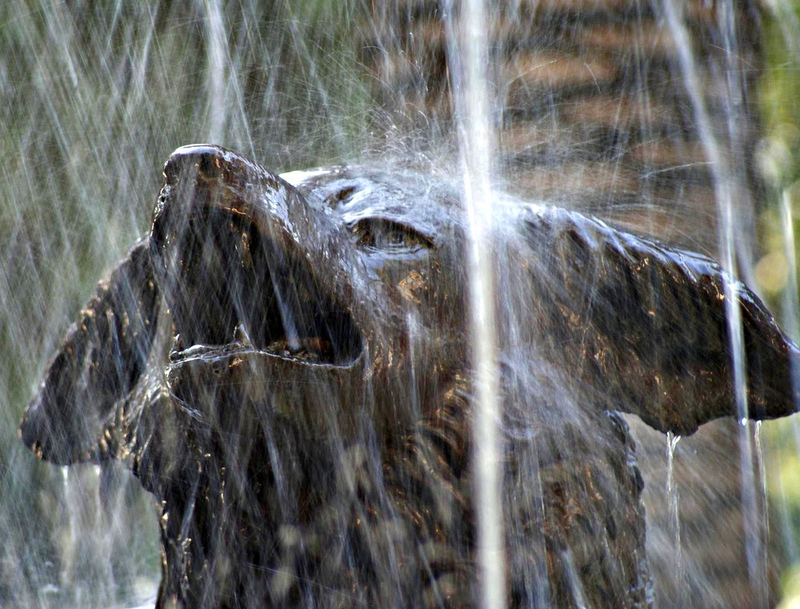 “The coyotes’ place”, Coyoacán was initially inhabited by the Colhuas from Culhuacán and the abundant nature bewitched Cortés who, after the Conquest of Tenochtitlán, erected the first town hall in New Spain, here. The zone no longer has its natural fertility; the estates which first urbanized the place, channeled the natural springs turning the fields into houses and the colored flowers into cobblestone. Gradually, the urban part expanded over the land of the coyotes originally known for its colonial charm. The peculiar mystery that one can still breathe attracted several generations of both national and foreign intellectuals. Amongst distinguished locals are Octavio Paz, “El Indio” Fernández, Salvador Novo, Diego Rivera, Frida Kahlo and Leon Trotsky. The houses have been adapted to museums, and the fortress of “El Indio” Fernández opens its doors during the Day of the Dead celebrations: this house was designed by Luis Barragán. 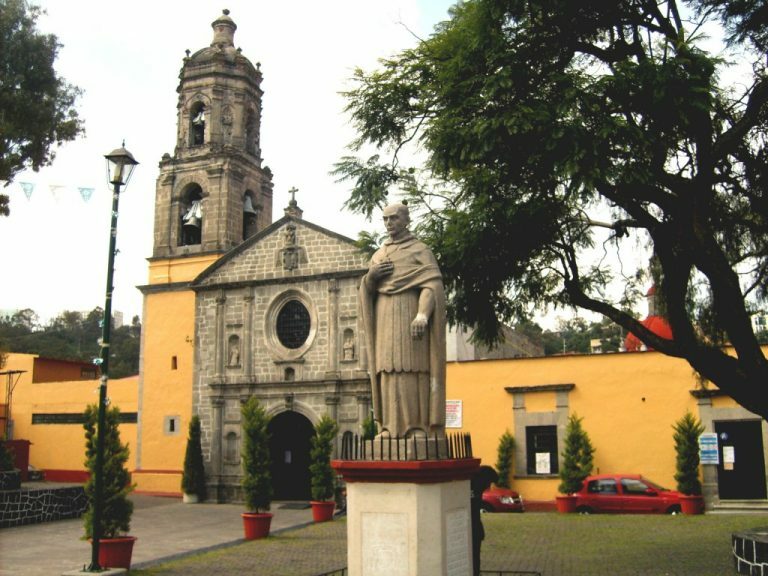 This amazing site was built between 1522 and 1552 and it is located in the main plaza within Coyoacán’s cultural downtown; It was born with Cortés giving it to the Franciscan monks. We recommend you to find the altarpiece within the cloister of the church,as well as its massive decorated roofs. Once you have finished there you can hang around the kiosk that dates back to Porfirian period and that it is used as a concert stand or a puppet show room. 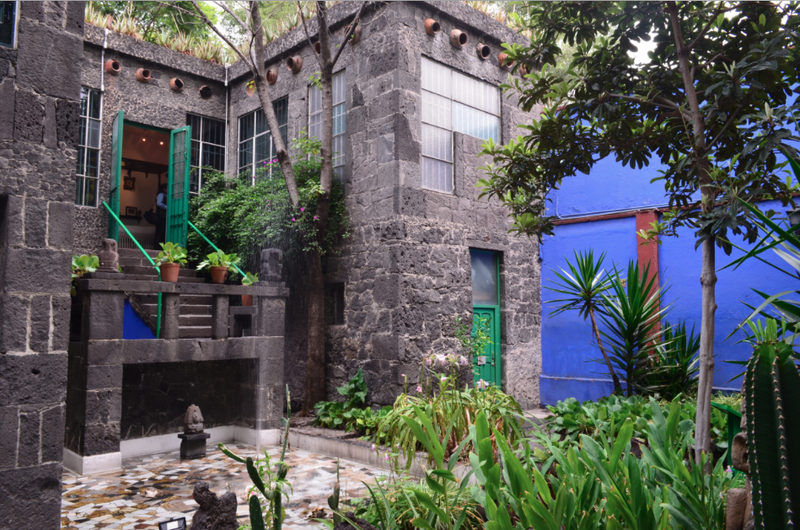 One of the most representative museums of the city (in part because it was the setting for the Hollywood production of Frida), the house is a brief detour into the painter’s life, family, home and her first incursions into painting. 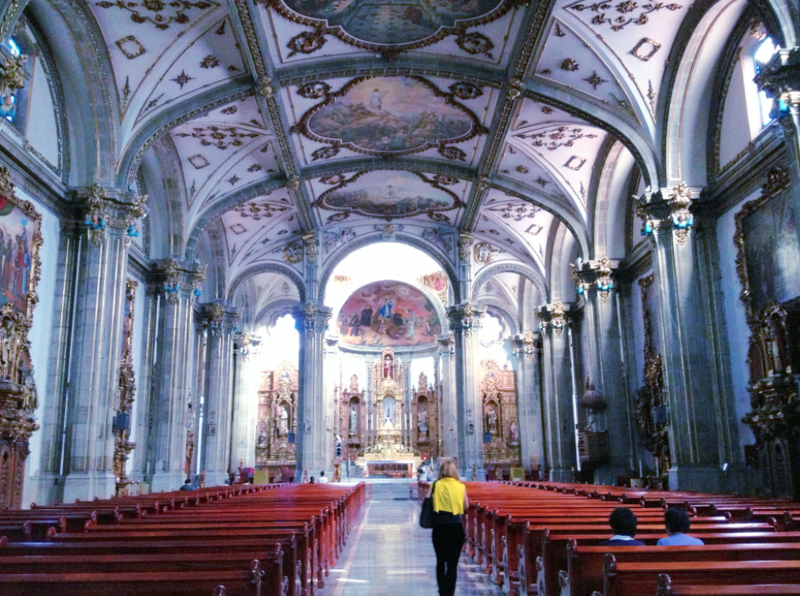 This beautiful 18th century building was once inhabited by Octavio Paz. 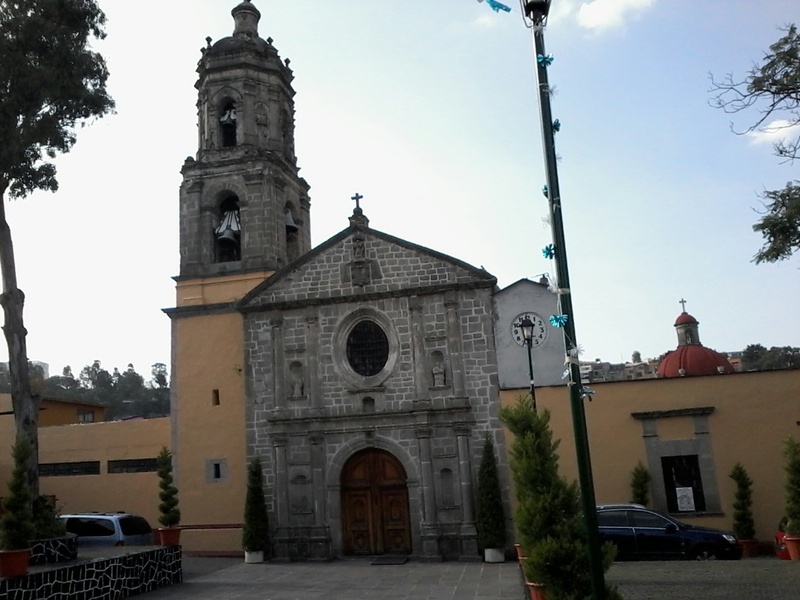 Now administered by Mexico’s Culture administration (CONACULTA), it’s the headquarters for several workshops and cultural events. Visit their schedule when you stop in. A couple of blocks from the Blue House/Frida Kahlo Museum, this museum exhibits multiple pieces from the last years of the life of the Russian Communist. The museum is divided into a permanent collection and the different events, exhibitions and movie exhibitions. 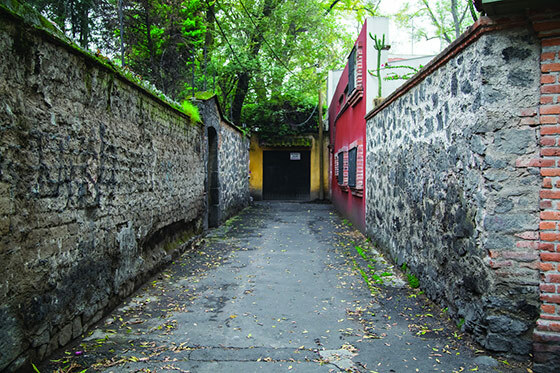 It is located parallel to Francisco Sosa, in one of the principal streets of the neighborhood; this sinuous little alley is said to be bewitched. Even when the existence of ghosts is highly disputable, the exquisite Neocolonial architecture makes this zone one of the calmest in the area. Once there, you can go for a coffee or visit the fortress of the “Indio” Fernández.